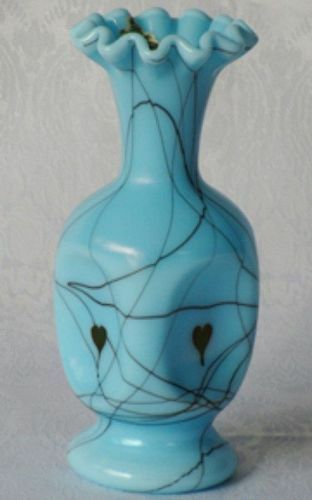 Fenton Vasa Murrhina Adventurine (blue/green) 4" Vase was made in the early 1960's. In mint condition. 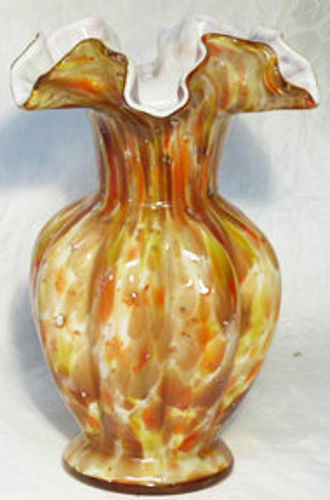 Fenton Vasa Murrhina Autumnal 8" vase was produced between 1964-1968. It is in excellent condition. 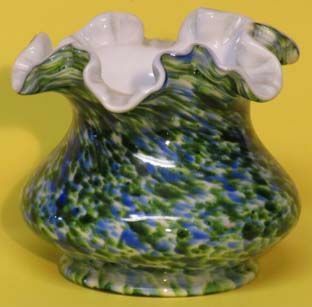 Fenton made Vasa Murrhina (sea vase) in the early 1960's and after. 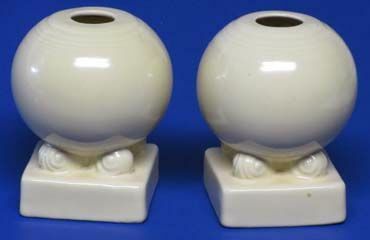 This 4" tall, 5" wide vase is in mint condition. 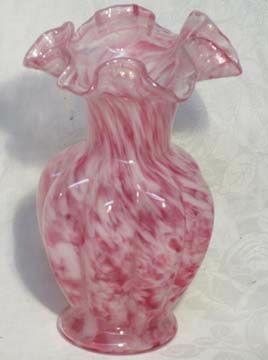 One of Fenton earliest molds, Waterlillies and Cattails with a marigold carnival finish on clear glass. Produced in 1908. 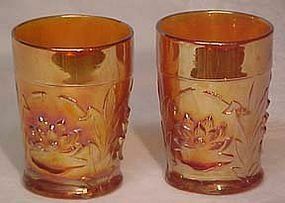 Tumblers are 4" tall. Two are available and are in mint condition. 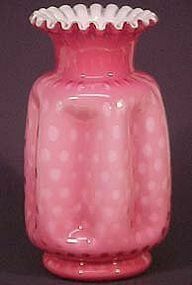 Fenton made Wild Rose Overlay with a Bubble Optic from 1961-62. 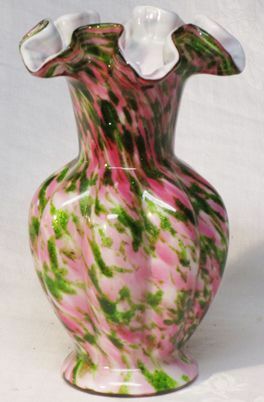 This 8" vase is in mint condition. 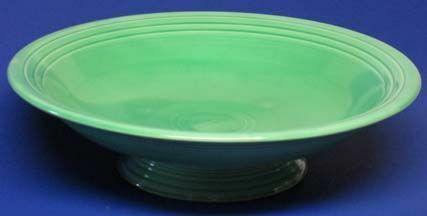 Fiesta Green Skirted Wide Bowl measures 12.5" diameter and about 3.5" high. 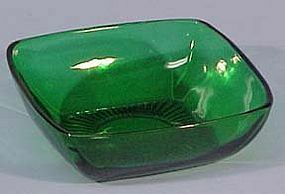 They call this form a comport. Made from 1936-46 in the original green color. 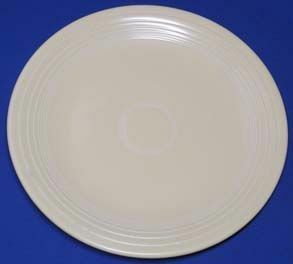 Fiesta Ivory 14.5" Platter in the original Ivory color. Made from 1937-59. In good condition with a few mars. 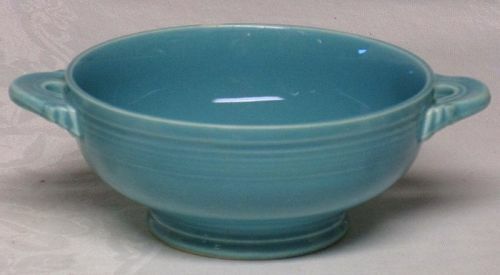 Fiesta ware Vintage Blue Cream Soup is 5" wide at the bowl edges, 6.25" at the handles. It is about 2.25" high. Made from 1936-59. 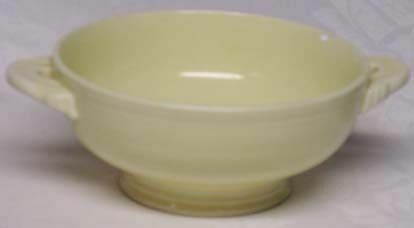 Fiesta ware Vintage Ivory Cream Soup is 5" wide at the bowl edges, 6.25" at the handles. It is about 2.25" high. Made from 1936-59. Fire King made Charm from 1950-54. 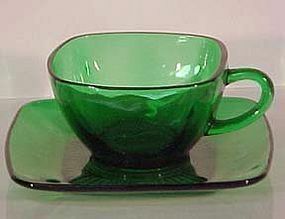 These Cups & Saucers are in excellent/mint condition. 2 sets are available. Fire King made Forest Green Charm from 1950-54. This creamer and sugar are in mint condition.